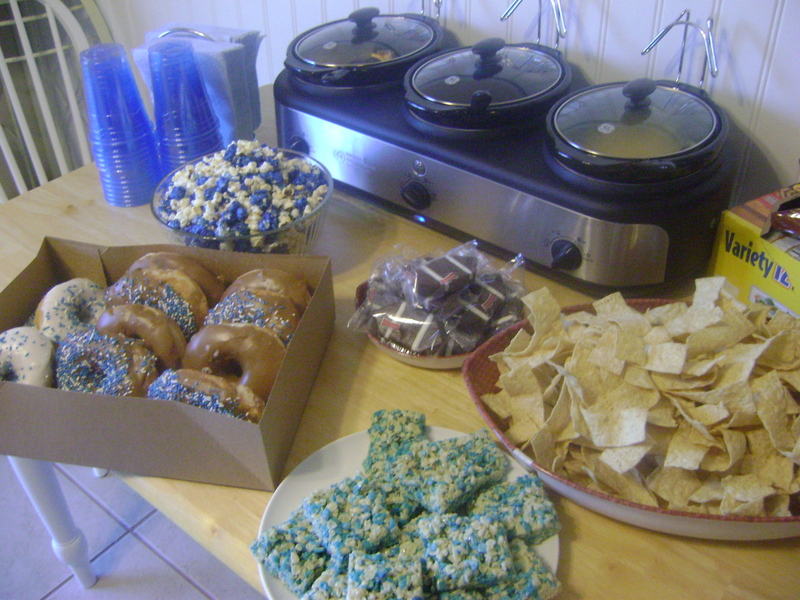 We were totally and completely ready for this game. 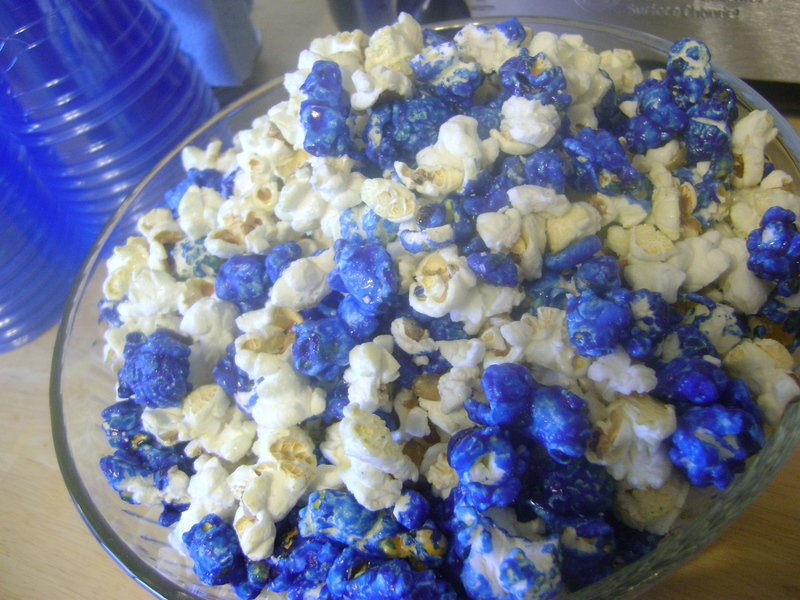 I mean, come on…we had BYU popcorn for Pete’s sake. 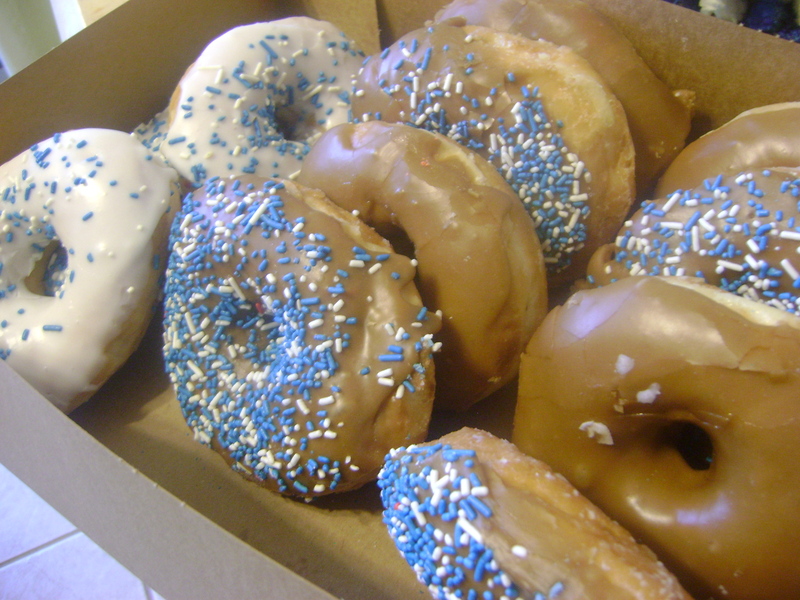 We had blue and white sprinkled maple donuts. 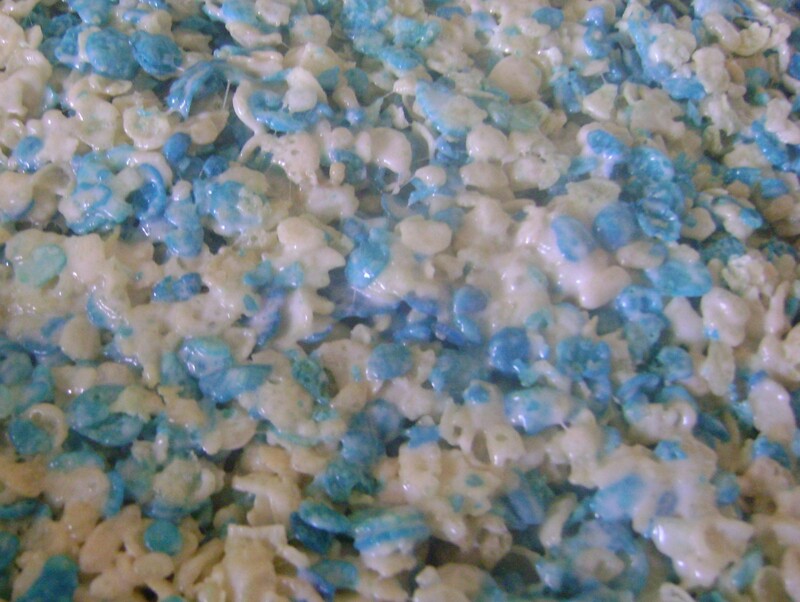 And best of all, we made a busload of blue and white Marshmallow Treats…thank you, 800 boxes of Smurf cereal. 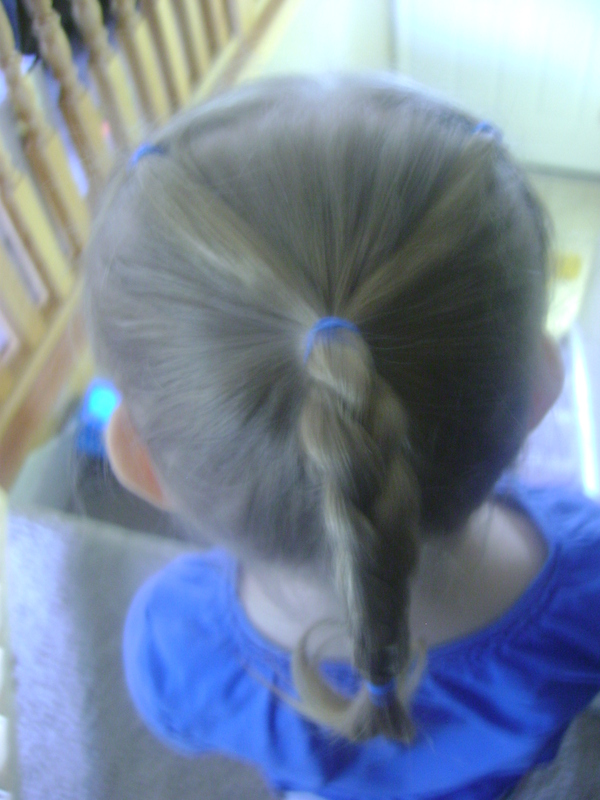 that Miss Chompy even had a “Y” in her hair. We were as ready as we could possibly get. Sadly, the team wasn’t ready. In fact, they didn’t seem to remember what game we were even playing. Soccer? Baseball? Rugby? Tag? They didn’t need to say that…we watched it. 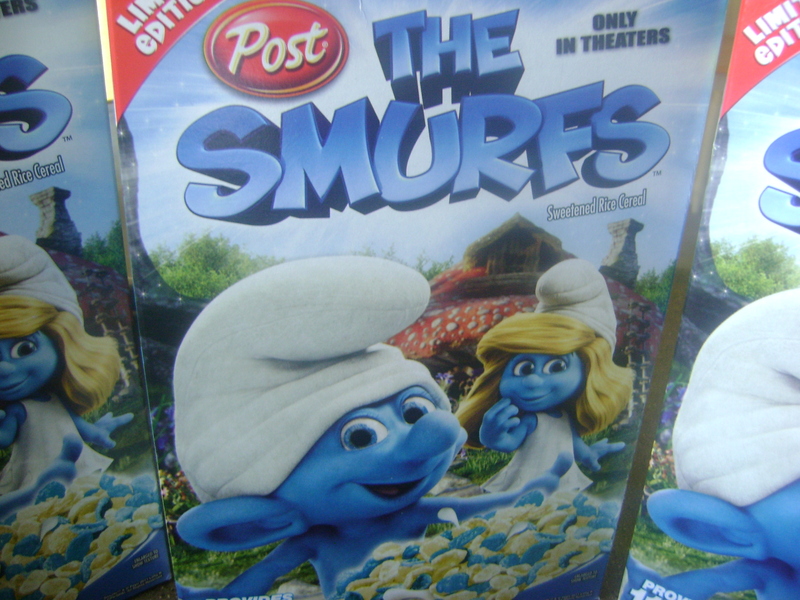 Maybe we can use all that Smurf cereal for the Patriot game.